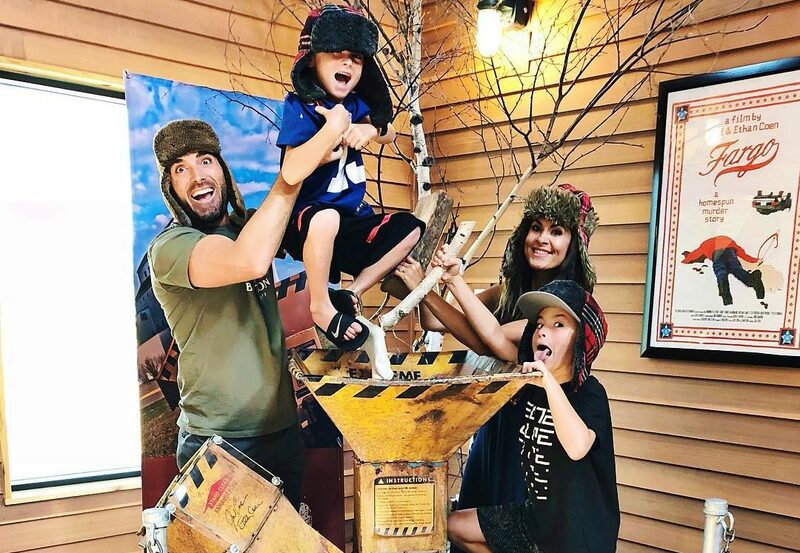 Here at the Fargo-Moorhead Visitors Center, we house the Woodchipper from the movie Fargo, and we know it’s only natural that people want to take pictures with it. So we encourage them, with funny hats and stuff. But we also judge them, and show our adoration for the top shots here, every month. Want to be included? Just tag your Instagram or Facebook photo with #FargoWoodchipper and you’re in the running. And if you manage to snag the top spot, we’ll send you a gift to commemorate your effort. Below are this month’s greatest photos with the #FargoWoodchipper. 10. And, the classic straight on look. Nicely played. 9. This one looks pretty unorganized, but it’s still pretty funny. 6. She looks way too happy to be jumping into a Woodchipper. 5. This lady is actually kind of scary… But it works. 4. Gotta love the dedication from this couple in the stunt double. 3. I love this one, the kid is just staring like “whatcha doing there, dad” and the other is smiling like it’s all totally normal. 2. And in second place, this awesome reenactment from the movie Fargo. Seriously, how hilarious is this? 1. And the winner is….. This adorable family throwing their son in the Woodchipper. Way. To. Go.